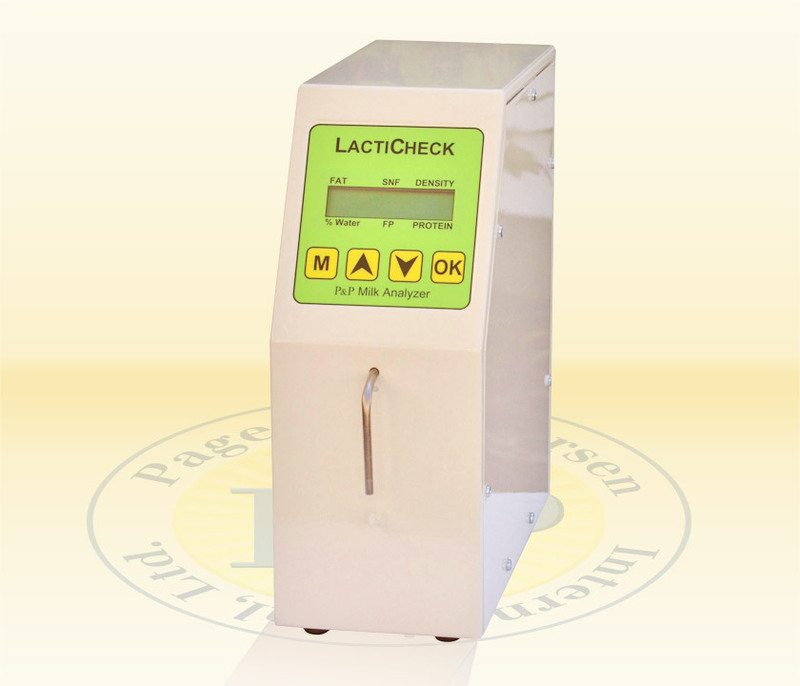 LactiCheck™-01 RapiRead | Page & Pedersen International ltd.
Portable, real-time, precise, reliable measurement of raw co-mingled milk facilitates optimal herd management. User-friendly and robust, the LactiCheck provides farmers instant feedback (40 second test time) critical to practical herd management including feeding, herd health and the milk check. On-farm artisanal, boutique and specialty bottlers of fluid milk and cheesemakers will also realize succinct benefits – contact us for details! Farm Testing: Portable, precise, simple measurement of raw co-mingled milk facilitates optimal herd management. User-friendly and robust, the LactiCheck gives farmers instant feedback critical to practical herd management of feeding, herd health and the milk check. Laboratory: Reliable testing with optional automated data collection. Compact, easy to use unit requiring no costly caustic chemicals. Streamlined, user-friendly calibration and simple operating procedure. Cheese making: Providing essential information, including a record of fat and protein levels to manage processing for optimal yield and consistent quality, the LactiCheck is a rapid, user-friendly, repeatable, reliable and low maintenance instrument. Dairy Field Extension: Convenient, simple to use, cost-effective tool providing information critical to effective herd management. Optimize feeding programs, ensure qualification for bonus programs, screen for metabolic disorders and improve genetic records.